The Filipinos’ tastebuds are getting more global each day. 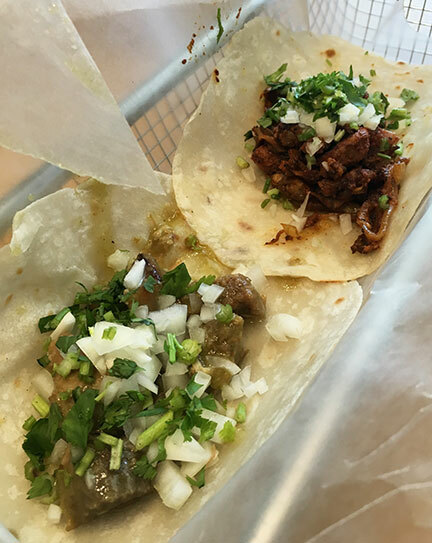 Who’d have thought that Manila would ever have several decent options for taco cravings. It’s something that I’m truly thankful for. A promising new player is Lagrima. Not serving up Tex-Mex nor Cal-Mex but Oaxacan styley Mexican food (by way of Cebu). The place is almost spartan, but clean. The food is simple, yet flavourful. With that satisfying street factor. You choose a type of meat from the menu and select the size of soft taco you want. There are also options for quesadillas, nachos and burritos and that’s that. 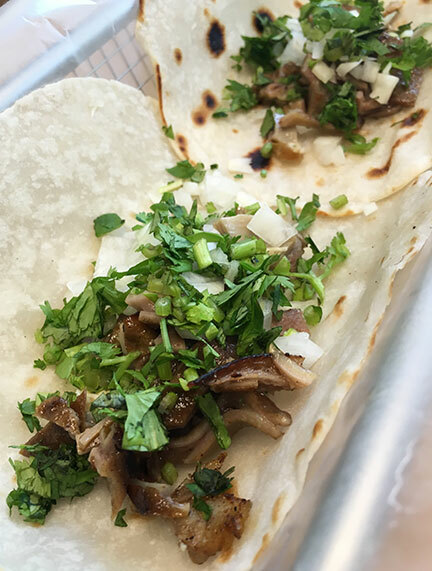 On our first visit, we had ordered a taco flight just so we could sample everything; several small tacos with a selection of meats. 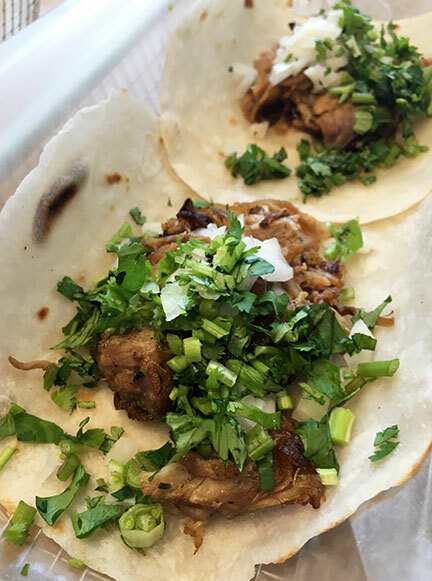 Carnitas was pretty good. Porky, tender and crisp textures as the meat is finished on the flat grill. The Al Pastor is also very good. You get some pineapple from the marinade but you don’t get any unwanted sweetness. Intense meaty flavor and smoky. Buche is a mix of offal and is similar to the concept of sisig/callos; very clean flavor. The tortilla they use is made of flour. There’s a bit of chew compared to corn and can get dry the longer it sits out. I love their house hot sauce, made from a blend of roasted chilies; deep and complex. 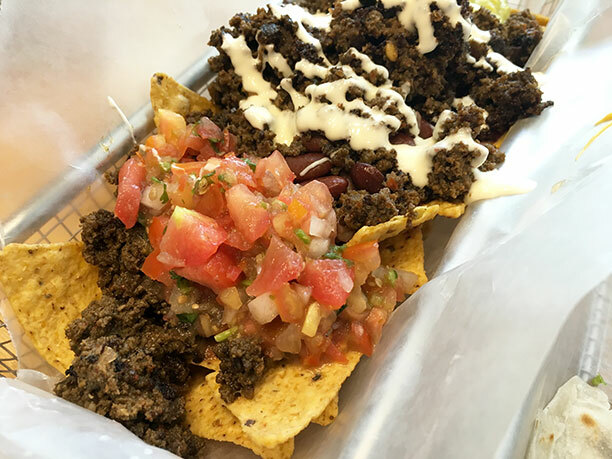 And I suggest you treat yourself to a Super Nachos with the chorizo on ANY visit. They make a fresh chorizo made of ground pork. It has this vinegary tang and a unique mix of dried chilies and spices (I picked up cinnamon and cloves in there). Quite addicting and is perfect as a topping for the chips. 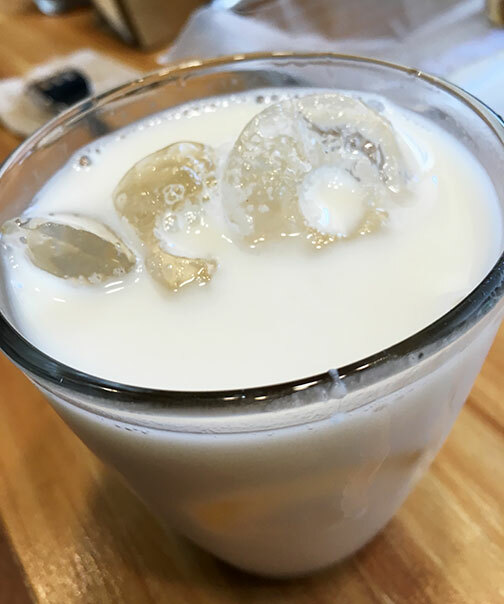 There is no dessert but they do serve the occasional horchata. A powdered rice drink flavoured with cinnamon. Just slightly sweet and nutty; you can’t help but keep sipping. And a nice counterpoint to the heat of the food. Just wondering why they would name a place for "tears". The chilies? Tears of joy because the food is so good? Or something else? Hi Andrew. The branch in Cebu is called La Lucha. The fight or struggle. Would be good to know the backstory of that too.